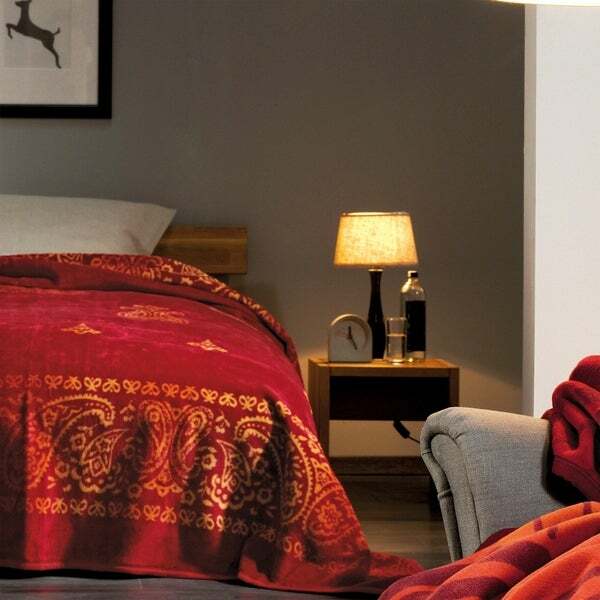 Dream of exotic places and add the flair of “Thousand and One Nights” to your bedroom. Beautifully vibrant with its different shades of red and yellow it provides a happy atmosphere. Warm, soft and machine washable. Certified by the OEKO-TEX® Standard 100 which ensures that the blanket contains no chemicals harmful to humans. Machine wash warm water. Tumble dry low. Do not bleach. Dimensions 102.0 In. X 86.0 In. X 0.3 In.